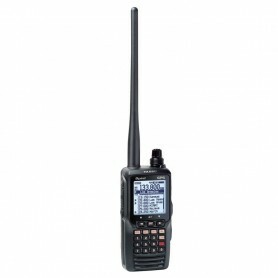 The Yaesu FTA-750L Air Band transceiver features an advanced user interface with a high-definition display for intuitive operation and performance optimization, equipped with ILS, VOR navigation and GPS receiver. 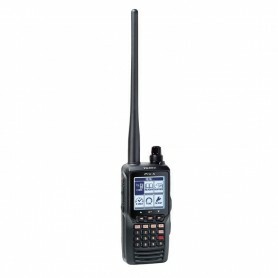 The Yaesu FTA-550L Pro-X Air Band transceiver features an advanced user interface with a high-definition display for intuitive operation and performance optimization, with ILS and VOR navigation. The FTA-550AA model has the same features as the FTA-550L version, but does not include the rechargeable batteries and charger in the package. 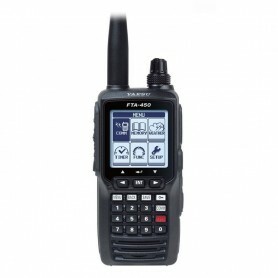 The Yaesu FTA-450L aeronautical transceiver features an advanced user interface with a high-definition display for intuitive operation and performance optimization. It comes complete with rechargeable batteries and charger. 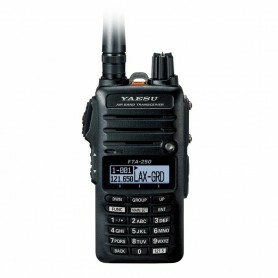 Yaesu FTA-250L is a compact, extremely economical, IPX5 rated Airband transceiver for use in harsh environments with rain, splash and splash. A 700 mW audio output ensures that radio calls are not lost even in noisy environments. 8.33 kHz Narrow Band capacity, with a huge memory bank with 250 programmable channels.